NRM’s Brenda Asinde casts her vote yesterday. Photo by Mary Kisakye. IGANGA–The National Resistance Movement (NRM) candidate Brenda Asinde aka Maama Madi has been declared winner of the Iganga district Women MP bye-election that was held yesterday. 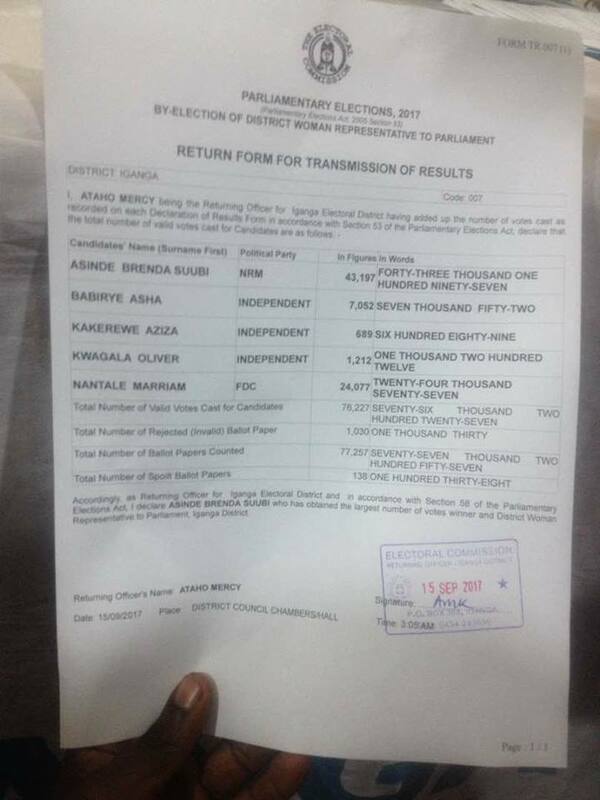 Asinde garnered 43,197 votes while her closest competitor, FDC’s Mariam Nantale, garnered 24,077 votes. Asha Babirye came third with 7,052 votes while Oliver Kwagala and Aziza Kakerewe trailed with 1,212 and 689 votes respectively. Iganga Woman MP race has been marred with violence leaving several nursing wounds. The seat fell vacant following the death of Kaudha Hailat Magumba who succumbed to pregnancy-related complications. While declaring Asinde as Woman MP-elect for Iganga district, the district returning officer, Mercy Atano, congratulated the candidates upon the successfully completion of the race. She urged the unsuccefull candidates to remain calm since any election must have a winner and a loser. 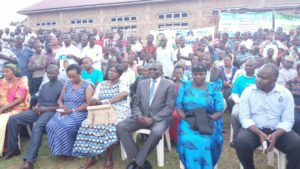 On her part, Asinde commended Iganga residents for entrusting her with the mandate to lead them. She promised efficient representation and improved service delivery. Amuriat Oboi at Mariam Nantale’s rally in Iganga. PML Daily photo. But FDC’s Nantale said she is not satisfied with the results of the bye-election and has threatened to drag Asinde and the Electoral Commission to court over ballot stuffing and breach of electoral rules. NRM has so far won 11 of the 13 bye-elections organized so far. FDC and other political parties have never won any by-election. Only independent leaning opposition candidates won Kyadondo East and Aruu in Northern Uganda. The Iganga district Woman MP results form. Courtesy photo.